Well, if you missed the UPSC Topper, Lipin Raj M. P’ (CSE 2012 Rank 224) ’s Interview – Part 1, you can read it by following the hyperlink. The story, more dramatic than any film, continues here. Having already shared his UPSC interview experience and study plans, Lipin discusses his previous attempts, backup-plans, work experience and marks in this post. ClearIAS.com: Comment on your previous attempts on UPSC Civil Services Exam if any? What have you learned from the mistakes/failures? After my graduation, I worked in State Bank of Travancore and in parallel prepared for Civil Service Examination too. In my first attempt, I was quite confident about my prelims before the examination and already started for mains preparation by making braille notes and audio tapes. Before one month of prelims I was admitted in an eye hospital due to some visual problems. I went to the examination hall from the hospital itself and started to bubble the OMR sheet. After bubbling the OMR sheet for one hour, I was a little doubtful whether I was darkening the right bubbles or not. So, I failed in my first preliminary exam. The second time, I opted for a scribe for preliminary exam. ClearIAS.com: What was your back-up plan in-case you didn’t qualify? 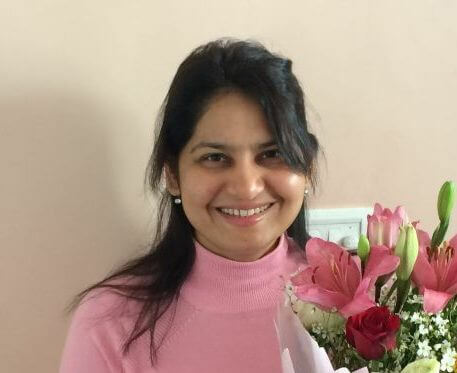 During my second attempt I was working in IDBI Bank in a permanent post and I thought that I would not be depressed but would rather use all my chances to get into the service. 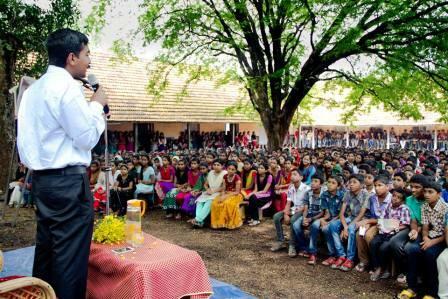 I completed my post-graduation in History and Malayalam, qualified both NET as well as JRF without having a post-graduation and joined in Evening L.LB classes. If I did not clear, I would have continued with my job, where I really got real field experience on tackling situations during difficult and stressed times. ClearIAS.com: Did you write/clear any other exams (Like Bank exams/State PSCs/ Private Jobs) during the preparation period or before? Yes I prepared for CAT exam and bank PO exams which helped me in preparing for CSAT. I also contributed articles on various general studies subjects to magazines. Apart from this, I worked as an internship trainee in India vision channel, Malayala Manorama and worked as a part-time local news reporter in Siraj daily during my college days. ClearIAS.com: Did you leave the job to prepare (yes/no)? No. Financial stability is a good base for preparation. If you are economically strong/ your family will not murmur when you are leaving the job or if they are taking care of your expenses you can easily leave the job. Otherwise don’t. You will get depressed if you are not selected. 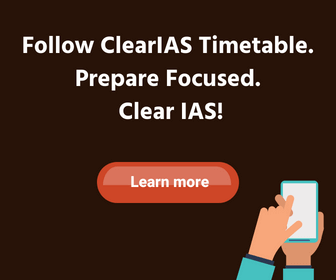 ClearIAS.com: What is your advice to working professionals who’re preparing for IAS exam simultaneously? If you are managing your job, along with your preparation, then its good. If the job is not helping you professionally or economically and at the same time it is eating into your time, age and career, then throw it and join in any good coaching center. After getting an idea from coaching centers go and prepare by yourself. Another request is, please don’t waste most of your time in coaching institutes. Start a habit of self-study or group study by forming a group of your friends. Please don’t throw big pay packages and come for preparation. Prepare your mind in a way that, even if you face some harsh experiences here, you will not get affected. Otherwise it will create problems for you in future. People normally think that government jobs are the burial place for most of the high-level educational qualifications especially technical degrees due to the aggression to get into Civil services. It is not. In government sector, you would get the freedom to incorporate your professional skills to improve the delivery mechanism of the government. ClearIAS.com : Did you expect a UPSC Rank? Except 4-5 people nobody knew that I was writing the mains. Even after the interview, I never expected a rank. Once my manager in IDBI Bank who helped to set my attire for interview asked me which rank I was expecting: I replied that I was going to write NET&JRF as well as going to prepare for bank promotion tests. But he suddenly told me: ‘you will definitely get a rank this time’. Sometimes your seniors can assess you better than you. I can’t imagine myself to try again after such a problem with eye. I definitely would have lost my confidence. I understood today that victory belongs to brave only.